"We have pledged to extend our partnership with C40 to build on the work we have done to date." 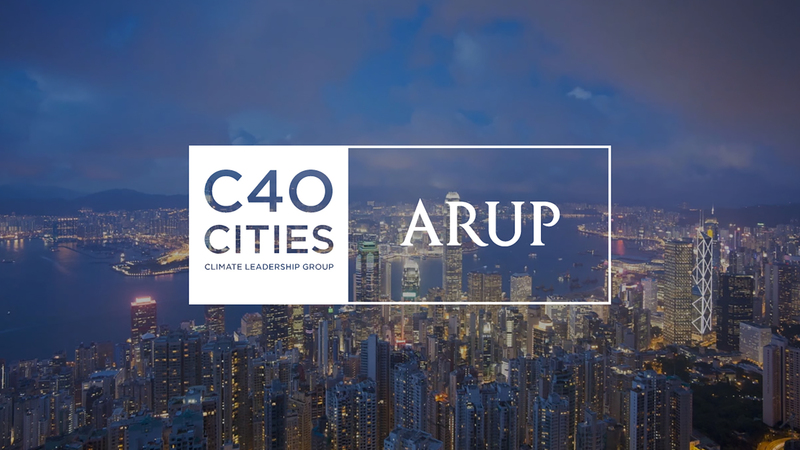 Arup has announced a renewal of its partnership with C40 Cities Climate Leadership Group (C40) to affect meaningful, measurable and sustainable action on climate change. Led by its ambition to shape a better world, Arup will back cities to rapidly reduce emissions to prevent catastrophic climate change. Together, Arup and C40 will work with city mayors on programmes to improve energy efficiency, reduce waste and encourage a move towards a more circular economy. Mark Watts, C40 Executive Director, stated: “When the Paris Agreement was signed in 2015, C40 and Arup immediately set to work calculating what the deal and the 1.5 degrees global warming target meant for the world’s great cities. Thanks to that ground-breaking analysis, more than 70 C40 cities are now developing climate action plans consistent with the emissions cuts that science tells us are needed to prevent catastrophic climate change – raising their previous ambition by a combined 13 gigatons of carbon, equivalent to the annual emissions of the US, Russia and China combined. To date, Arup and C40 have worked together on more than 25 projects affecting hundreds of climate actions in C40 network cities. Projects have ranged from research on science-based climate targets for cities, data analysis and reporting on climate actions, to technical support to cities in the areas of low carbon energy, building energy efficiency and sustainable transportation.